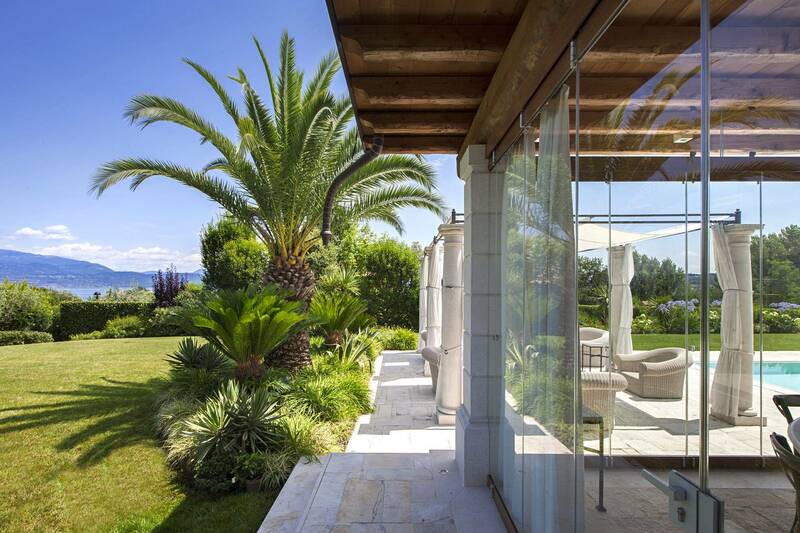 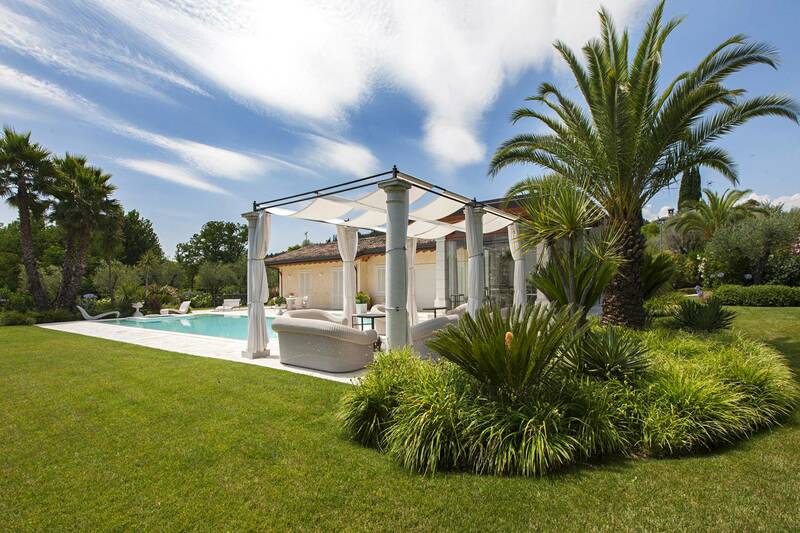 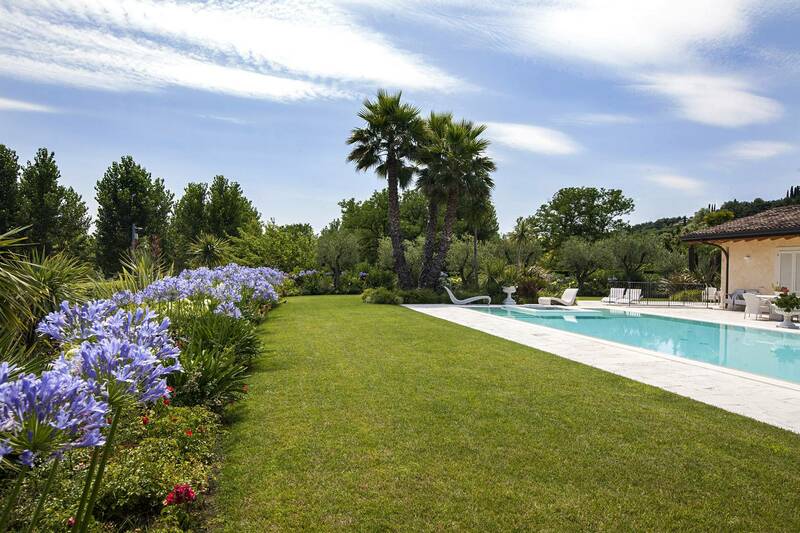 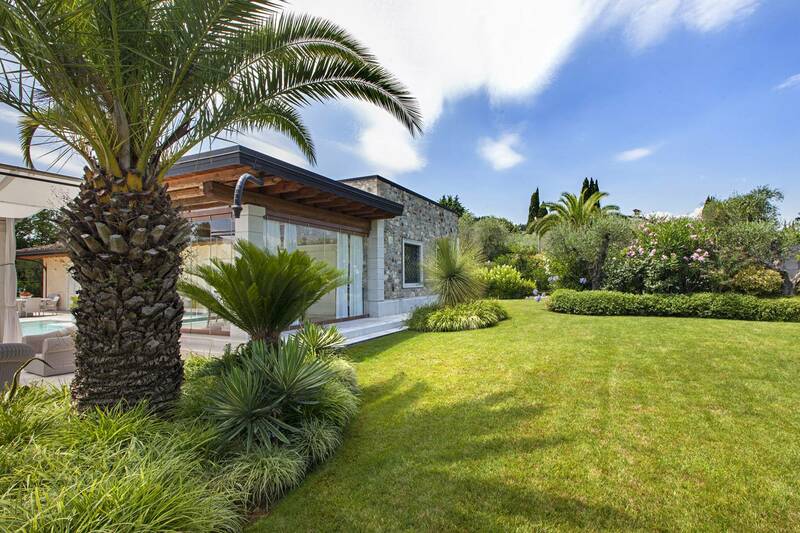 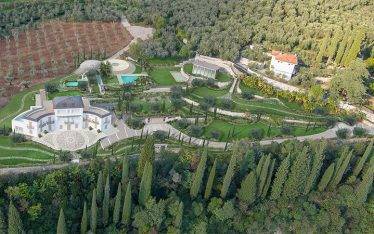 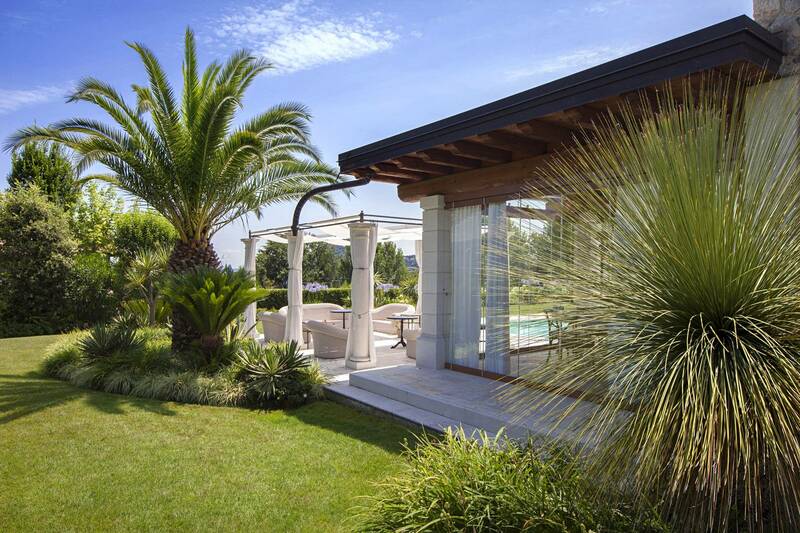 A green landscape in full Mediterranean style was designed by Stefano Filippini for this villa on Lake Garda. 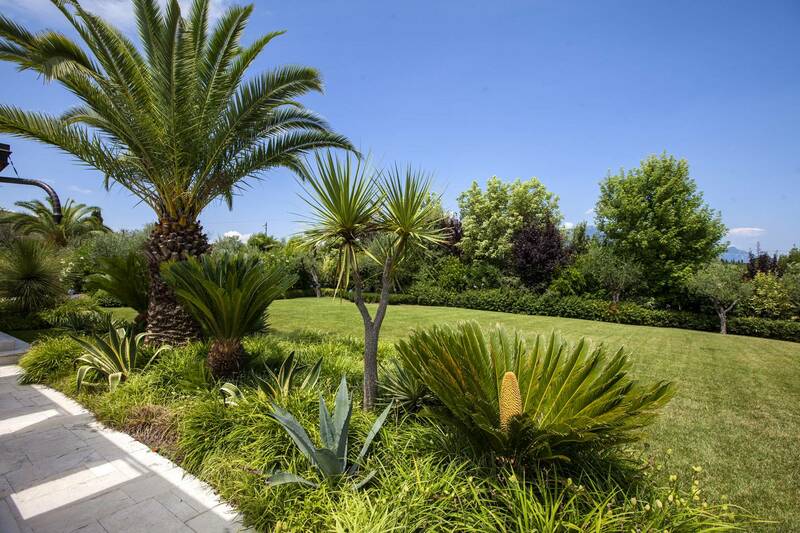 Palms, oaks, maples and flowers in a thousand shades of colour like white and purple hydrangeas, pink oleanders and yellow rudbeckia enrich this wild-looking luxurious garden. 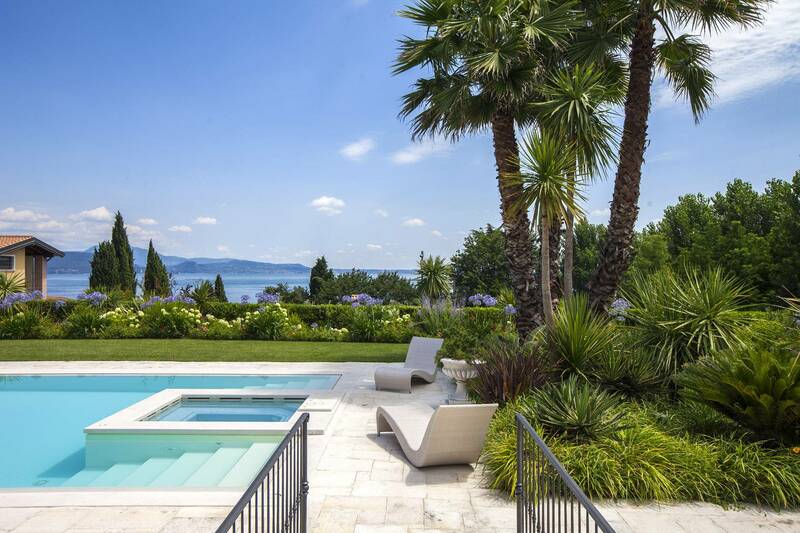 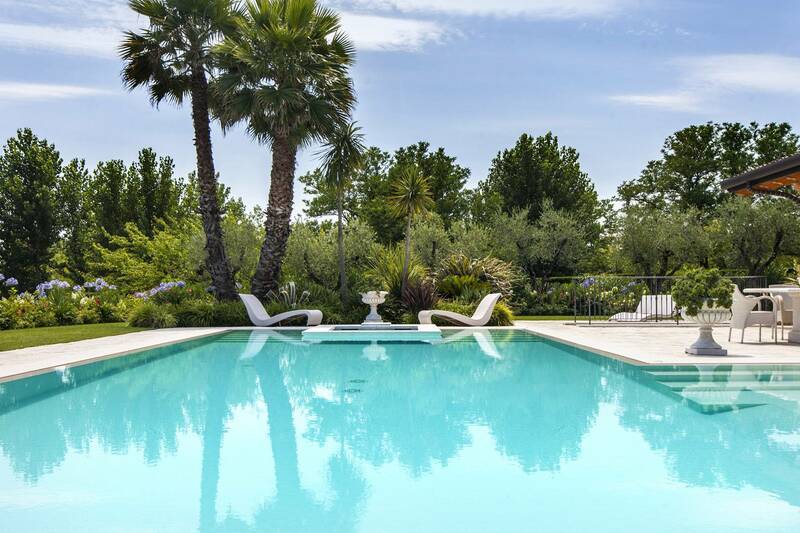 Great importance was also given to the swimming pool, for which an ad hoc design was created with a stone wall to further enhance the environment. 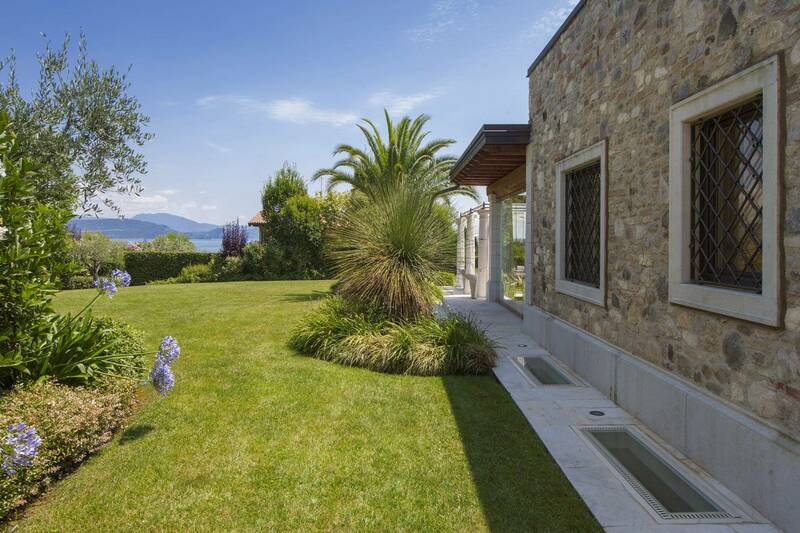 Its wild nature along with the water element of the lake and swimming pool make this garden a therapeutic place of great relaxation.